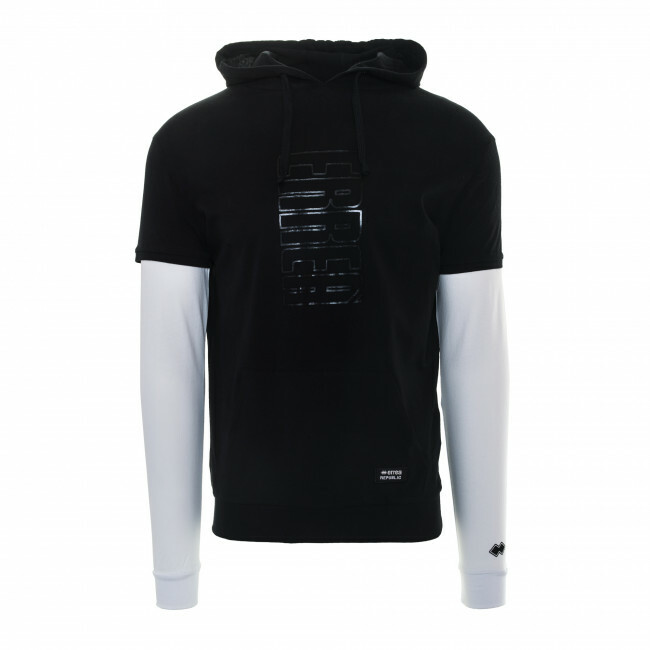 Men's double sleeve hoodie made from elasticated fabric for comfortable wearability. The make of the sleeves is inspired by basketball and provides natural freedom of movement. The screen printed lettering on the chest is a tribute to the company. The hood with drawstrings provides greater protection when needed. Fitted with practical pouch pocket. Composition: Jersey 100% Cotton.